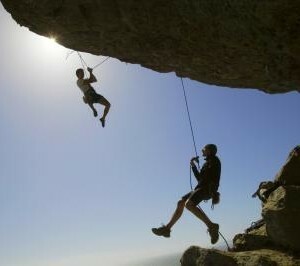 Rappelling is a specialized climbing technique that is used to descend from mountains and cliffs by making a controlled slide down a fixed rope. 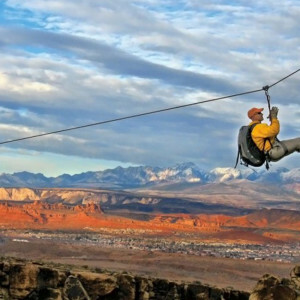 The climbing rope is anchored to a cliff with artificial anchors like cams, pitons, and bolts or natural anchors like trees and boulders. Usually the rope is either doubled with the midpoint at the anchors or tied to another climbing rope. 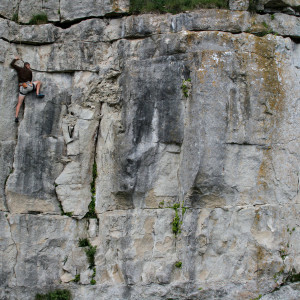 The climber then uses a rappel device which utilizes the friction of the rope through the device to control his descent as he literally slides down the fixed rope to a ledge or the cliff-base.